Outdated and bureaucratic farm labour restrictions will be abolished as early as next next year, Farming Minister David Heath announced today. Defra’s plans to scrap the Agricultural Wages Board (AWB) - a panel setting pay which was abolished in all other sectors almost 20 years ago - were today included in a bill going through Parliament. It will mean that the law governing agricultural wages will be harmonised with the rest of the economy. This will end an anomaly requiring farmers to follow outdated and bureaucratic rules dating back to the beginning of the 20th Century. “Scrapping these outdated and bureaucratic rules will significantly reduce burdens to farmers while keeping workers extremely well protected. Research shows that in line with the Government’s work to reduce bureaucracy in the food and farming industry, farmers will save significant time, effort and costs in no longer meeting two sets of legislation. This will lead to a more flexible market and make it far easier for employees to receive annual salaries, rather than hourly wages, in line with modern personal finance arrangements. The AWB sets minimum wage rates for six categories of agricultural workers in England and Wales. Under it, the current minimum wage is just two pence higher than the National Minimum Wage, but most workers already receive pay above the wage minimums. The plans were today added as an amendment to the Department for Business Industry and Skill’s Enterprise and Regulatory Reform Bill at Lords Committee stage. 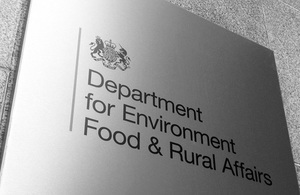 The decision was made after Defra carefully considered responses to its consultation, published today. Abolition of the board will depend on the passage of the bill through Parliament, but it is hoped the National Minimum Wage will apply to agricultural workers from 1 October 2013.